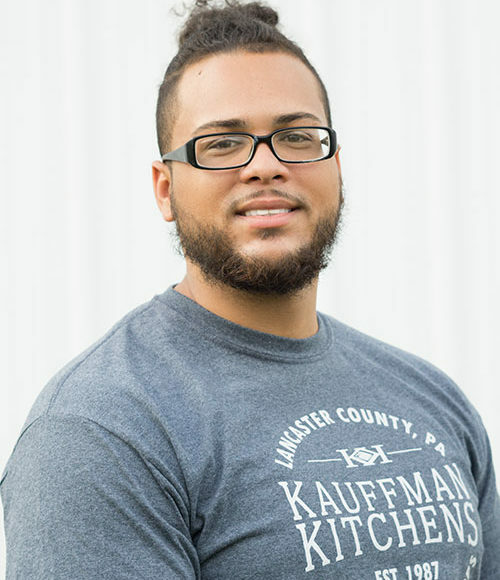 Thank you for taking the time to learn about our family at Kauffman Kitchens! In 1987 Benjamin Kauffman founded our family’s business as a cabinet installation and countertop fabrication company. 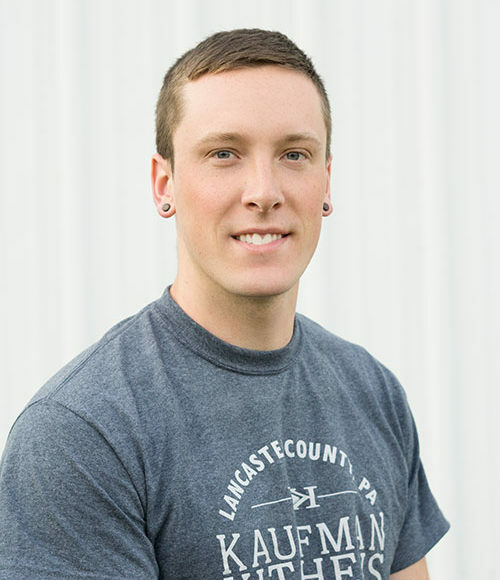 Based on integrity, honesty, and hard work Ben built Kauffman Kitchens to support a growing, loyal customer base. As more members of the family joined the business, we have grown in different aspects of the residential and commercial kitchen industry. Through the years nearly everyone in Ben’s family has been involved in the business. Whether it be fabricating and installing countertops, or answering phones, there have been many hard working hands helping out. 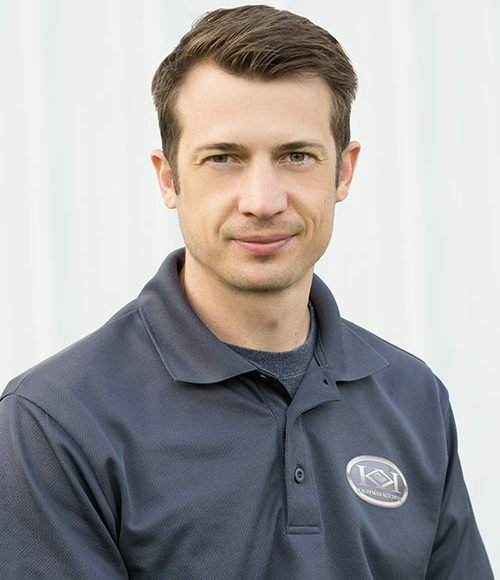 In 2013 Ben’s son Kyle Kauffman transitioned into the role as president. We continue to strive to bring our customers in Lancaster and Chester County, PA the best service possible and have a great environment for our team to work in. Kauffman Kitchens stands to offer you the best products possible, at the best value we can offer! Favorite Part: The people he works with. 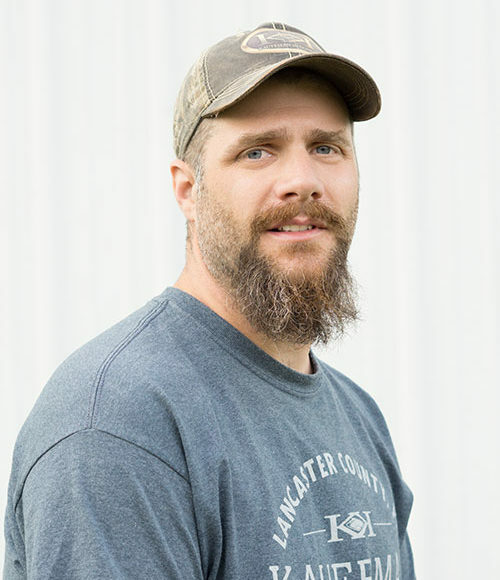 About Kyle: Kyle is married to Heather and they have 4 children. 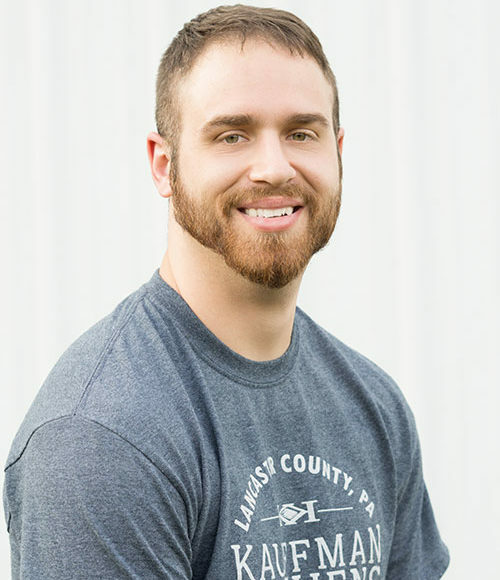 He is involved with his church, Christian Fellowship Church in New Holland and enjoys spending time with his family, hunting and surfing. Favorite Part: Working with his co-workers and being involved in commercial projects. 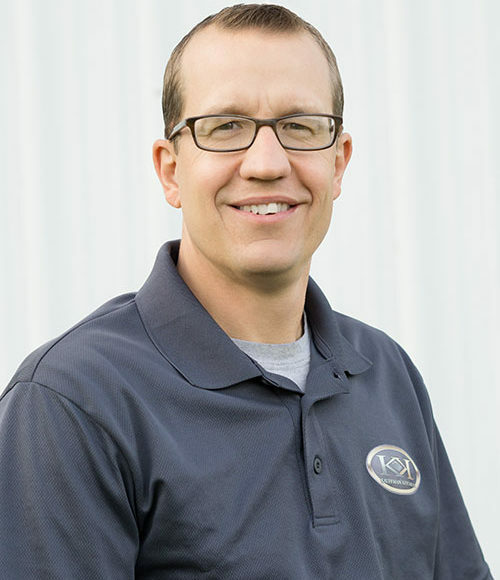 About Matt: Matt is a New Holland native and has enjoyed working at Kauffman Kitchens since 1995. He’s married to Andrea and they have 3 children. He enjoys golf, hiking, and traveling with his family. Favorite Part: Meeting with people and designing kitchens. About Nick: Nick grew up in Terre Hill and currently lives in Paradise. He’s been married to Lindsay for 11 years and they have 4 children, 2 girls & 2 boys. 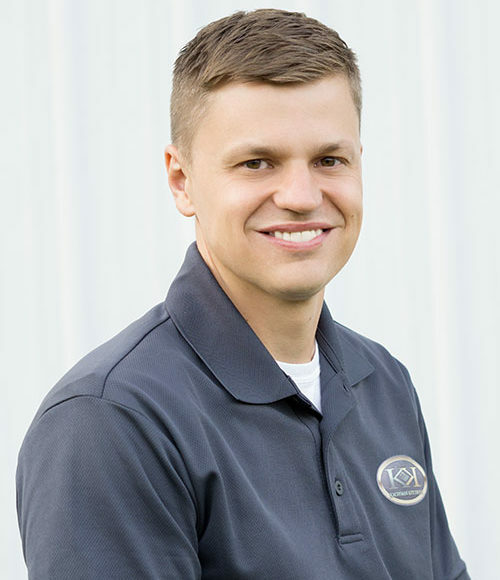 He enjoys spending time with his family, playing sports, golf, and fishing. 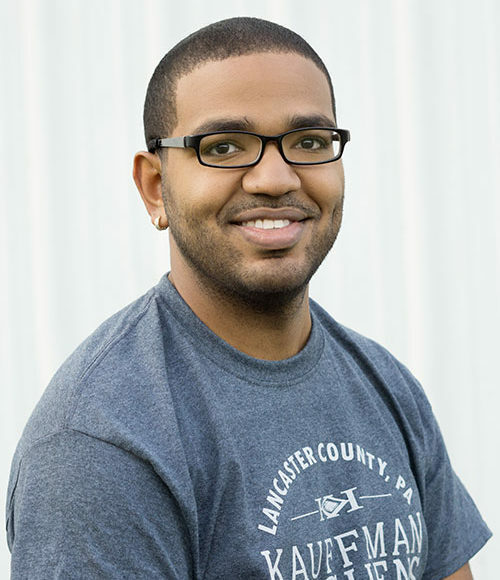 About Lemuel: Known at work as Lem, he was born in Puerto Rico and moved to New Jersey when he was 3. He moved here to Pennsylvania when he was 11. He’s married to Whitney and has 6 children. He enjoys going to church, hiking, and cooking out. He also enjoys spending time with his wife over coffee. Favorite Part: Getting to work with a solid group of guys! About Nate: Nate was born in Colorado, but grew up in Willow Street. He graduated from LS high school in 2011 and has an older sister and 2 younger brothers. He enjoys traveling and exploring new places. If he’s not in a coffee shop reading a good history book he’ll be found outside hiking, kayaking, disc golfing, or snowboarding…depending on the season. About Eliott: Eliott grew up in Landisville with his dad and older sister. He enjoys basketball, music, movies, disc golf, mentoring, hiking and good coffee. Favorite Part: Meeting and talking with new customers and existing customers. About Virgil: Virgil was born and raised in Canada and lived in the West until moving to Pennsylvania. He has 2 sisters who live in Montana along with his parents. He’s married to Vicki and they have 2 children. He enjoys the outdoors, especially hunting & fishing. Favorite Part: Seeing how the tops come together from beginning to end and the finished product. About Ramon: Ramon grew up in the Dominican Republic and came to the US when he was 11. Most of his mom’s side of the family still resides in the DR while much of his dad’s family is in New York. He enjoys being outdoors with his friends and family, sports, and eating out at new restaurants. Favorite Part: Figuring out complex carpentry problems at different jobs. 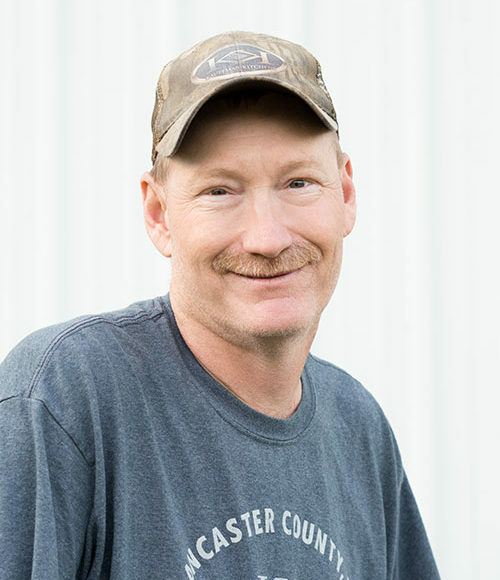 About Mike: Mike enjoys carpentry and being outdoors, especially hunting and fishing. Favorite Part: Driving the company trucks for deliveries and pick-ups. Working installs with Mike. 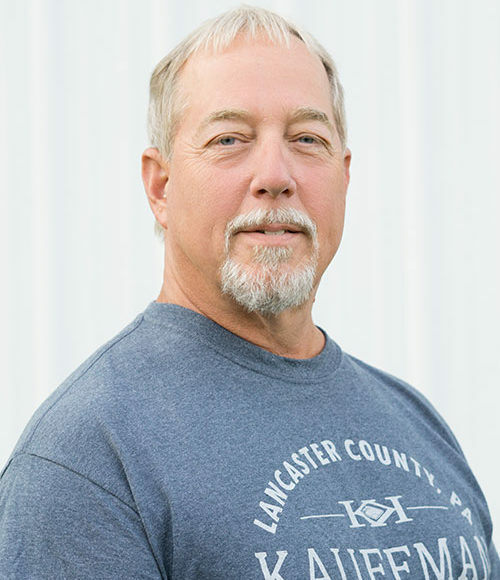 About Bruce: Bruce was born and raised in Lancaster County. He joined the Navy in 1969 after high school then lived in the Lititz area for the next 34 years. He is married to Joan and they live in Fivepointville. He loves his 5 children, 6 grandchildren, his dogs & cats, and boating on the Chesapeake Bay. He is a general class amateur radio license holder and enjoys pistol shooting and the outdoors.